enhancing conditioner that effectively detangles, enriches, and revives a pet's coat. 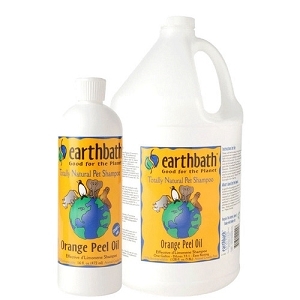 Earthbath® proudly offers this shine enhancing conditioner that effectively detangles, enriches, and revives a pet's coat. The addition of colloidal oatmeal helps remoisturize soothe skin too. Our Creme Rinse & Conditioner will leave your pet's coat soft, rich and luxurious and will bring out its natural luster and brilliance. 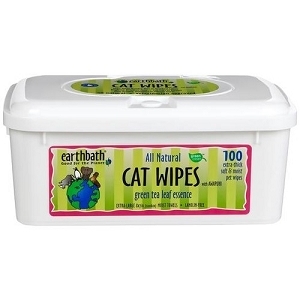 Used in conjunction with Earthbath® Totally Natural Pet Shampoos. Your pet's coat will be plush and smell naturally fresh. Safe for dogs & cats, puppies & kittens over the age of 6 weeks. Purified water, natural emollients, chelating agents, hydrolyzed wheat protein, colloidal oatmeal, stearyl alcohol, citric acid, and almond essence. 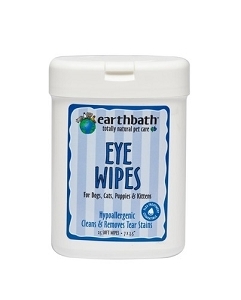 All ingredients are natural, 100% biodegradable, and gentle for humans & animals. 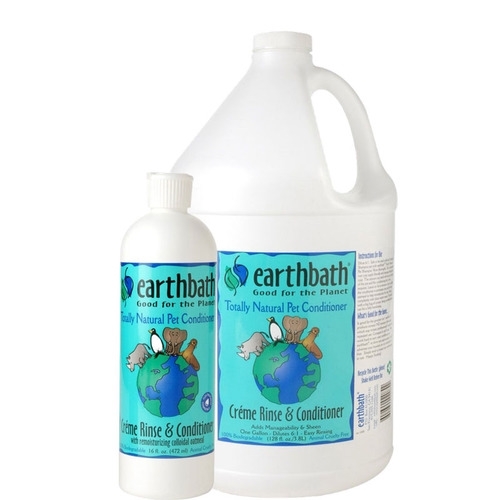 Shampoo pet with Earthbath® Totally Natural Pet Shampoo. Rinse thoroughly. On a clean and wet coat, apply liberally and massage deeply into coat. The amount you need will vary by the size of the pet and the conditioning he or she requires. Leave on for a minute or two to allow the conditioner to permeate coat and for the oatmeal to help remoisturize the skin. Rinse completely with clean warm water. Towel dry with a big hug of course; being scrubbed down can be a little humiliating. May be diluted six parts water to one part creme rinse if needed.